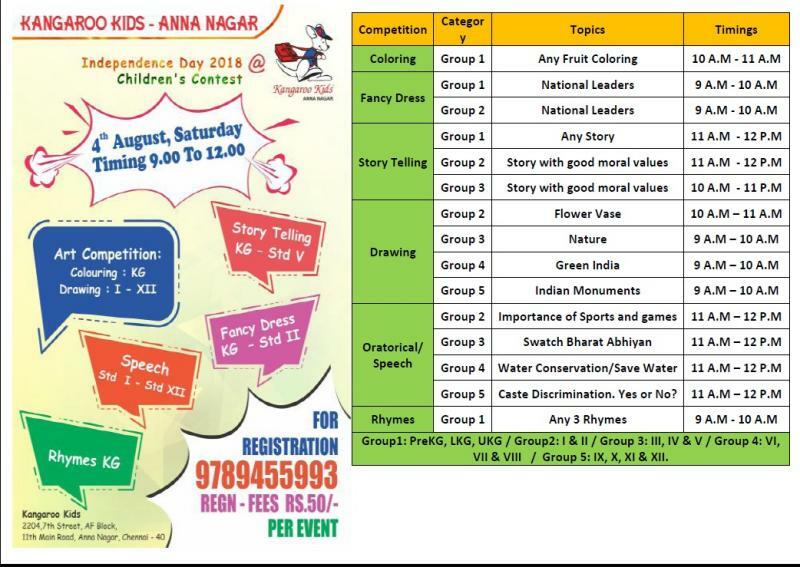 Independence Day 2018 Children’s Contest at Kangaroo Kids. Kindly be present 15 mins before the event schedule. Participants have to bring Pencil,Eraser,Coloring materials etc. For drawing quarter size chart will be provided. Properties can be brought for fancy dress and story telling competition.